We are an Established Singapore Company which specializes in Mechanical Engineering Works. We own a 30,000 sq. ft. 2 story manufacturing factory with a clean room, 3 nos. of overhead cranes etc. Resulting from our years of efforts & Experience we are able to provide an excellent & Quality service to our valued Customers. 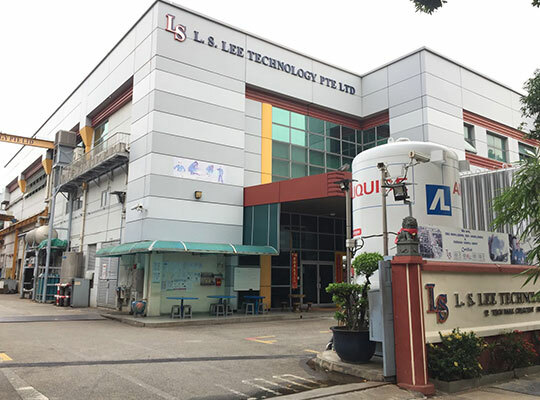 L.S.Lee Technology Pte Ltd offers a complete range of high Quality Services such as Design, Fabrication, Installation, Testing & commissioning of Gas, Food, Pharmaceutical & Chemical Plants at the competitive price. Our efficient and high standard of service has been recognized with award of the Integrated Management system i.e. ISO 9001:2008, BS OHSAS 18001:2007, SS 506 & bizSafe Star. With the Experience & Commitment L.S.Lee Technology Pte Ltd is well-poised to meet project challenges all over the world. To be the preferred Engineering Company that gives total Customer Satisfaction with Quality products & Excellent Service. To be a Customer focus organization, providing total solutions with Quality products & Excellent Service exceeding customer’s expectation. We shall be innovative & proactive in our work.